Will you Run For Beer? Join us Saturday, May 18th, 2019 starting at 3pm. A 3-mile (ish) course between Main Street and Haynie’s Corner. 6 Mini-Beers, 6 Bars, and a t-shirt – just $30! Limited to the first 300 sign-ups! Run, walk, or ride – the choice is yours! Just bring your friends, be safe, and have fun! Packet pickup outside Bokeh Lounge starting at 2pm. This is a 21-and-over event only. ID will be required at each location. There will be NO REFUNDS for those that can’t attend. However, you may give your receipt to a friend/family that can attend in your spot. They MUST have your registration receipt. This is not a timed event and rules of the road apply at all times. Participant armbands will be issued and affixed at check-in. Due to the smaller beers needing to be ordered at each location, each bar will only have the amount to make sure each runner gets ONE beer at EACH location. Proceeds to benefit the Haynie’s Corner Art District. 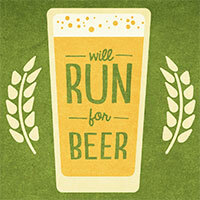 For more info and fun… visit the Will Run For Beer FB Event Page.